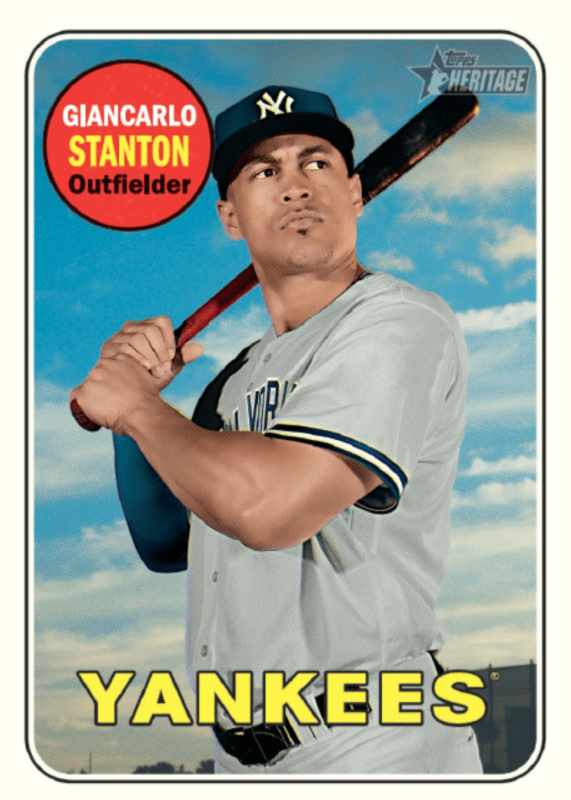 Look for Real One autographs, which have become some of the most sought after autographs in the hobby. 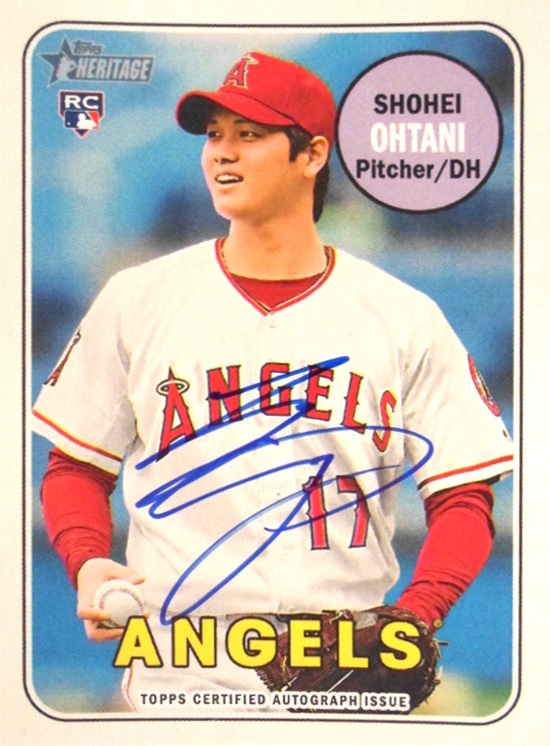 In 2018 Topps Heritage, Angles Rookie Shohei Ohtani will have a Real One autographed card, and a short-printed base card – pictured as a pitcher. The base card is hobby packs only. 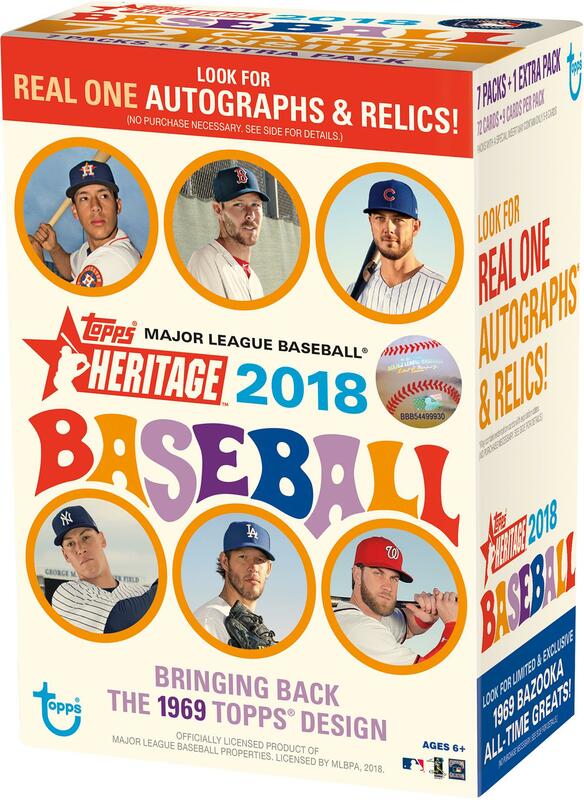 A Topps Heritage card of Ohtani – pictured as a hitter will be available in 2018 Topps Heritage High Number Baseball, which comes out later in 2018. 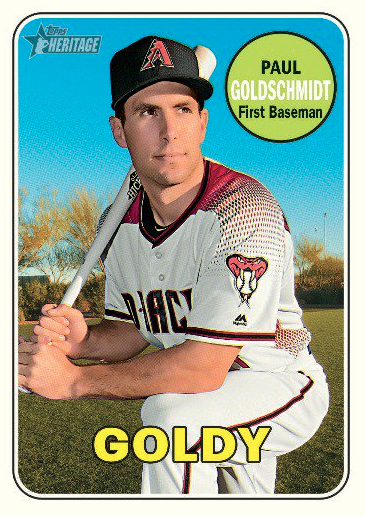 It hasn’t been released by Topps yet. 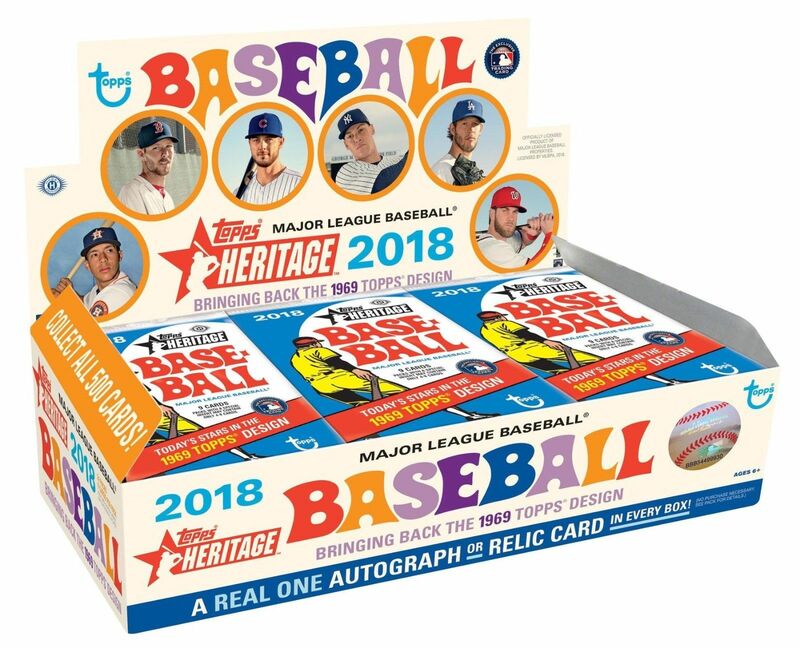 Topps doesn’t release checklists until approximately the week the set comes out.